Hydrogenation of alkynes is the addition of hydrogen to a triple bond in the presence of a catalyst. 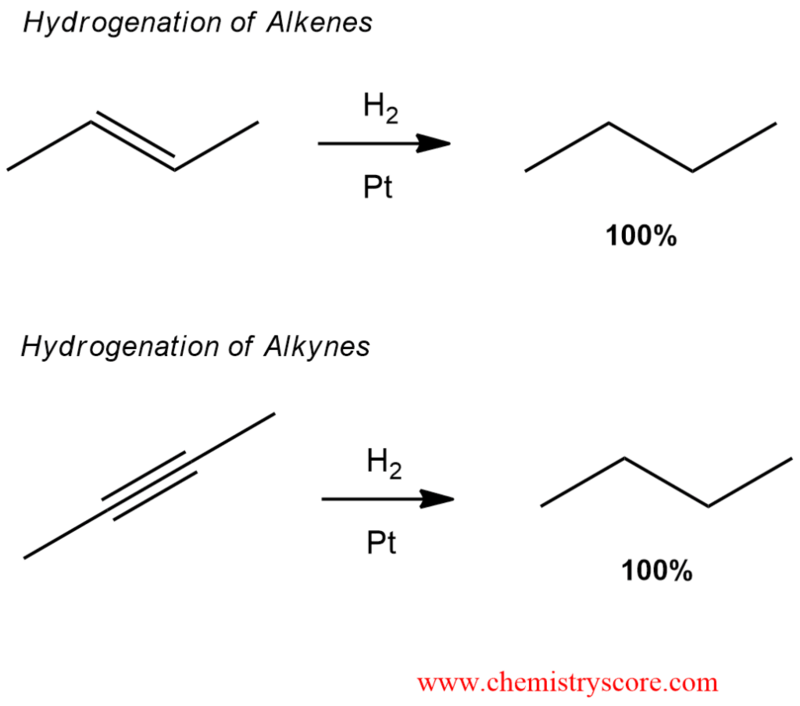 Alkynes can be hydrogenated under the same conditions used to hydrogenate alkenes. Typically, platinum or palladium on charcoal is suspended in a solution containing the alkyne and the mixture is exposed to a hydrogen atmosphere. Under these conditions, the triple bond is saturated completely. In the other words, the cis- or trans-alkene is difficult to isolate because it is even more reactive toward further hydrogenation than the starting alkyne. With metal catalysts (Pt, Pd, or Ni) this is very difficult to achieve.